Air Optix contact lenses for astigmatism are made of silicone hydrogel to guarantee high oxygen permeability for health and comfort. 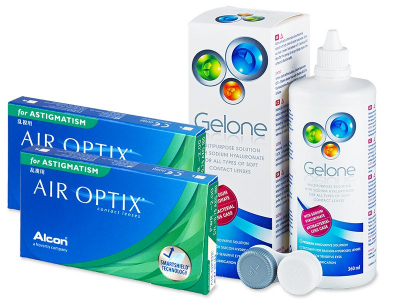 This package also contains a 360 ml bottle of Gelone solution and an antibacterial lens case. 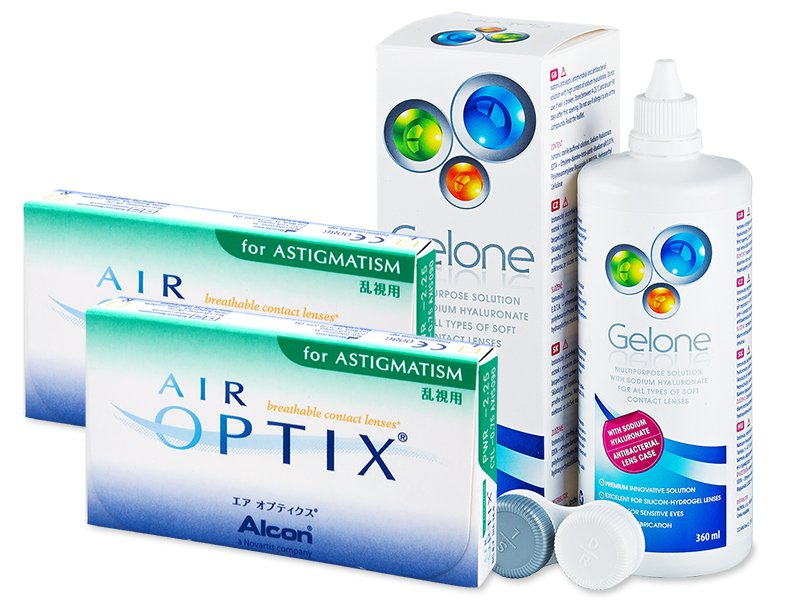 Air Optix for Astigmatism are silicone-hydrogel contact lenses with a monthly replacement schedule. The silicone-hydrogel material, Lotraflicon B, guarantees a high level of high oxygen permeability, which significantly enhances the comfort of wear. Each individual pack of Air Optix for Astigmatism contains six lenses.